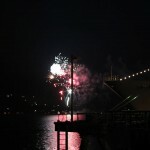 The 4th of July in Juneau Alaska is a little differnt from any other way I have ever calibrated the holiday. Yeah there is a city parade and a fireworks show for all to see. That aspect of the holiday calibration is the same. 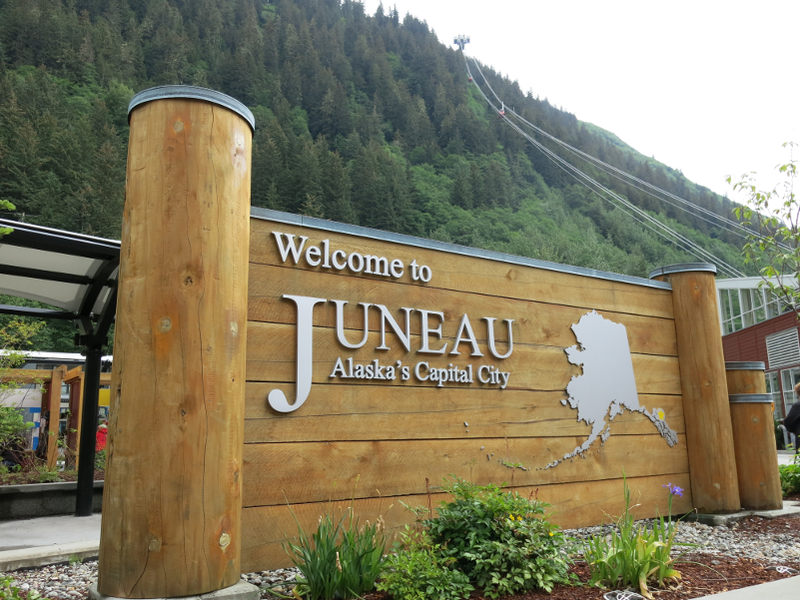 What is not the same is the time Juneau rolls out the fireworks. Because Juneau Alaska is so far up north the city gets more sun light in the summer time then the rest of the lower 48 States. Infact it dose not get dark till after midnight around this time of year. Because of that the city puts on their fireworks show at midnight. 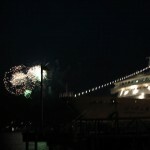 The local Juneau Empire has a little write up on the festivities going on around town. 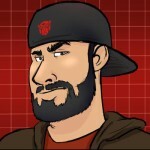 The day had started out awesome. Sunny and warm. But by mid day we started seeing clouds and rained drops. That however did not stop us from going to see the fireworks display. Hannah and I got in our truck and headed down town to our favorite spot right on the city’s water front at about 10:30pm. 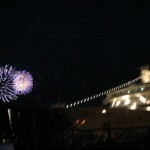 The place was packed with people and even one of the cruse ships decided to stay docked till after the fireworks show. 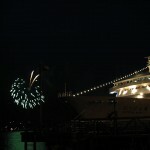 Everyone seemed to be all smiles as locals started shooting off their own purchased fireworks. Hannah and setup our folding chairs, I lit a cigar, and we sat back and watched the evening sky light up with colors from all around us. When the city fireworks show started, I pulled out my camera and snapped just a few photos. The whole show lasted 30 minutes. It took the two of us another 30 minutes to make it home. A drive that normally takes us 10 minutes on a bad day. That gives should give you some kind of an idea how how many people and cars were in the area. It was a really fun night. I hope the rest of the 4th is just as great.